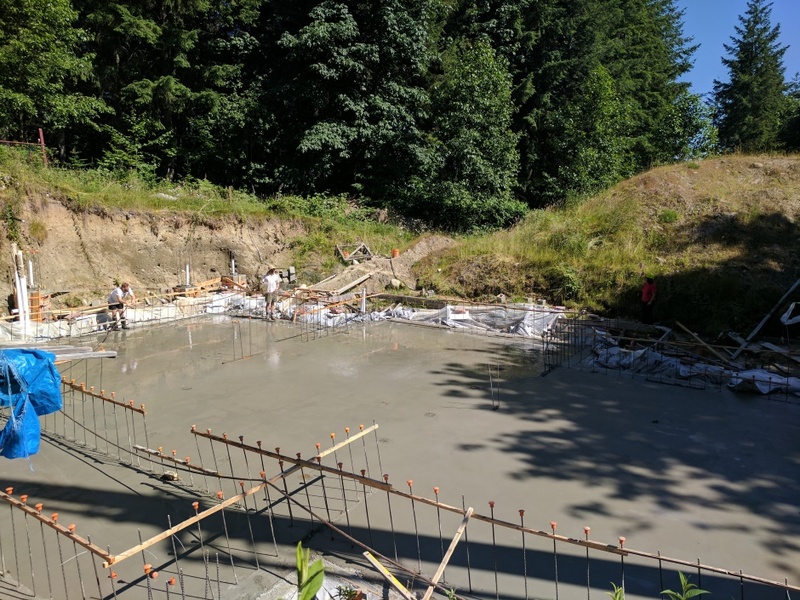 Form a pool of water over the entire slab for a month while the concrete is curing. For proper curing it is necessary to control the rate of evaporation of the water from the concrete (and avoid water temperature extremes such as freezing). Need to keep sun off it as sun will cause more evaporation of water. You need to keep the slab consistently wet. One technique is to lay polyethylene sheet over the slab and soak the entire area with a garden hose and/or sprinkler. The water will go under the polyethylene sheet and get trapped there. The best method is to pull the 6mil polyethylene membrane over at the edges and roll it up so it forms a bit of a ridge so that the whole slab is kept under about half an inch of water. This is the method I personally prefer. 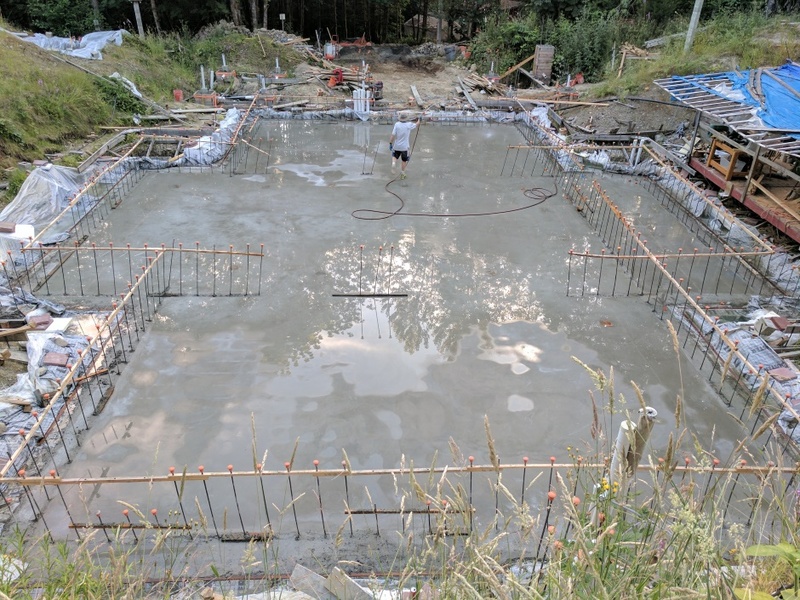 While filling the slab area with water you will see just how flat and level you managed to get the slab. There will be a few high points and a few low points. Hopefully the difference between the lowest low and the highest high will be less than an inch. In my case I found I had two high points. One high point was on the western edge and the other was on the eastern edge. That's great news because that means the house is level. Water is the most accurate indicator of levelness.